The metric unit is the most common one and is today used by both vehicle- and wheel manufacturers, although some may also provide the measurement written in inches. The units in inches is otherwise mainly used in the USA when talking about classic cars, but also regarding newer vehicles and such. You may say that tradition lives on, but one also has to remember that the unit in inches was used for a long time which many got used to, and that USA of course uses inches otherwise as well. By the way, the units in inches was developed by the SAE (Society of Automotive Engineers), but they too are using the metric units today, officialy. 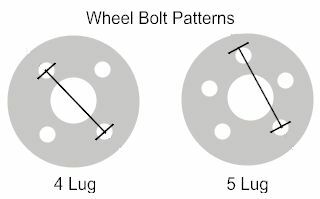 So, does all of this mean that a bolt pattern in metric is different than a bolt pattern in inches? No! The only thing that differs is the units, provided that the measurement is the same of course. Look at it like this, 1 inch is equal to 25.4 millimeters, and with that knowledge on your hands you can easily calculate between one another. For example, a bolt pattern in metric, let's say 5x114.3, is equal to 5x4.5 in inches, because 114.3 divided with 25.4 = 4.5, easy, don't you agree? In the same way we may calculate the following bolt pattern in inches, 5x5, to metric, which will be 5 times 25.4 = 127 (bolt pattern = 5x127). 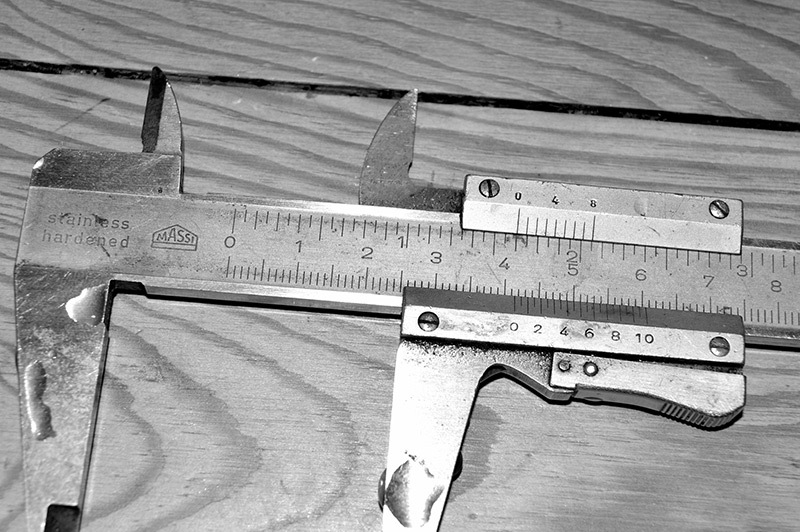 Vernier caliper set on 25.4 mm which equals to 1 inch. 3 x 98 mm 3 x 3.86"
3 x 100 mm 3 x 3.94"
3 x 112 mm 3 x 4.41"
3 x 150 mm 3 x 5.91"
3 x 160 mm 3 x 6.3"
4 x 95.2 mm 4 x 3.75"
4 x 98 mm 4 x 3.86"
4 x 100 mm 4 x 3.94"
4 x 101.6 mm 4 x 4"
4 x 108 mm 4 x 4.25"
4 x 114.3 mm 4 x 4.5"
4 x 139.7 mm 4 x 5.5"
4 x 160 mm 4 x 6.3"
5 x 98 mm 5 x 3.86"
5 x 100 mm 5 x 3.94"
5 x 108 mm 5 x 4.25"
5 x 110 mm 5 x 4.33"
5 x 112 mm 5 x 4.41"
5 x 114.3mm 5 x 4.5"
5 x 115 mm 5 x 4.53"
5 x 118 mm 5 x 4.65"
5 x 120 mm 5 x 4.72"
5 x 120.6mm 5 x 4.75"
5 x 120.65mm 5 x 4.75"
5 x 120.7mm 5 x 4.75"
5 x 127 mm 5 x 5"
5 x 128 mm 5 x 5.04"
5 x 130 mm 5 x 5.12"
5 x 135 mm 5 x 5.31"
5 x 139.7 mm 5 x 5.5"
5 x 150 mm 5 x 5.91"
5 x 155 mm 5 x 6.1"
5 x 170 mm 5 x 6.69"
5 x 205 mm 5 x 8.07"
6 x 114.3 mm 6 x 4.5"
6 x 115 mm 6 x 4.53"
6 x 120 mm 6 x 4.72"
6 x 127 mm 6 x 5"
6 x 139.7 mm 6 x 5.5"
8 x 139.7 mm 8 x 5.5"
8 x 165.1 mm 8 x 6.5"
8 x 170 mm 8 x 6.69"
8 x 200 mm 8 x 7.87"
School's out for today, you might say. That's all about bolt pattern in metric and inches, hope you've learned something.